You may have missed it, but Huawei actually announced three phones at its big press conference in Paris this week. The P20, P20 Pro, and this, the Porsche Design Huawei Mate RS. This ultra-luxurious phone combines Porsche Design’s signature brand aesthetic with Huawei’s mobile know-how. The Mate RS also features a pretty significant feature – an in-display fingerprint scanner. That means that Huawei has beaten both the Samsung Note 9 and Apple in the race to include this innovative technology. In the Mate RS, the fingerprint reader allows you to wake up the device by floating your finger above the display, and unlock it in "lightning fast" speed when touching the sensor hidden below the screen. The back fingerprint sensor can also be used to unlock the device. 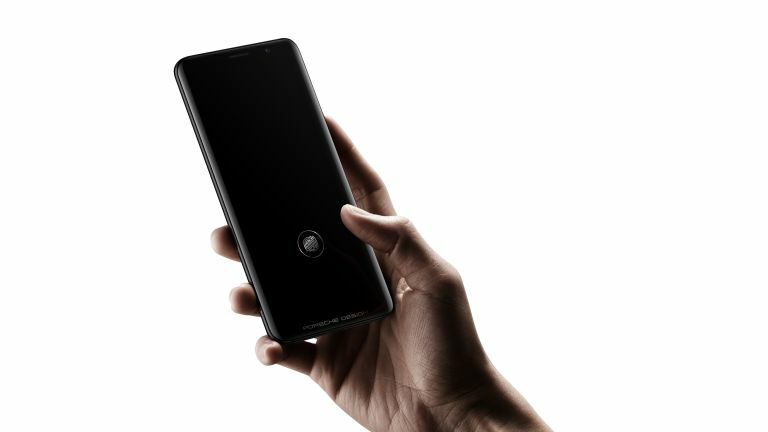 Despite carrying the "Mate" moniker, the Porsche Design phone is actually a P20 Pro in disguise, with the Leica triple camera system, which is comprised of a 40MP RGB sensor, 20MP monochrome sensor, and an 8MP sensor with telephoto lens. It's also the world’s first smartphone to be equipped with 'microcapsule PCM', an aerospace cooling technology for maintaining a safe temperature. Other specs include a 6-inch OLED 2K curved screen and 4,000mAh battery. That's the same battery size as the Mate 10 and P20 Pro, and bigger than the 3,850mAh that is rumoured to be making an appearance in the new Note 9. This phone costs €1,695 (around £1,500) for the entry level 256GB model, and €2,095 (around £1,800) for the 512GB model. That's significantly more than the competition.